If you have just realised that you have incorrectly posted a transaction, you are either going to need to amend the transaction or reverse it. 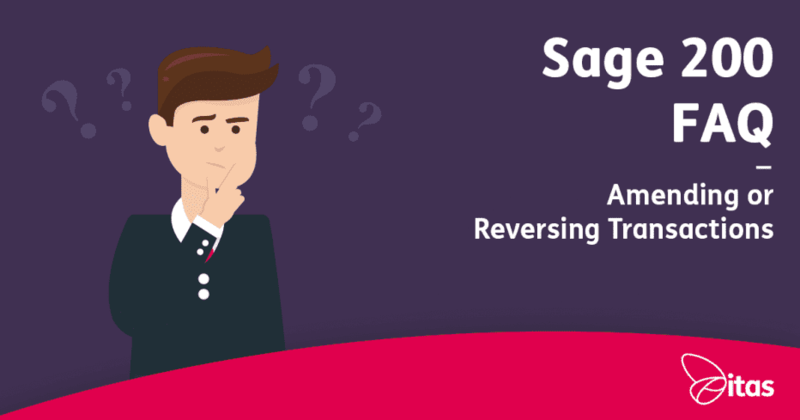 In this blog, we are going to answer our most frequently asked questions relating to amending and reversing transactions. Answer: Firstly, don’t delete the transaction! 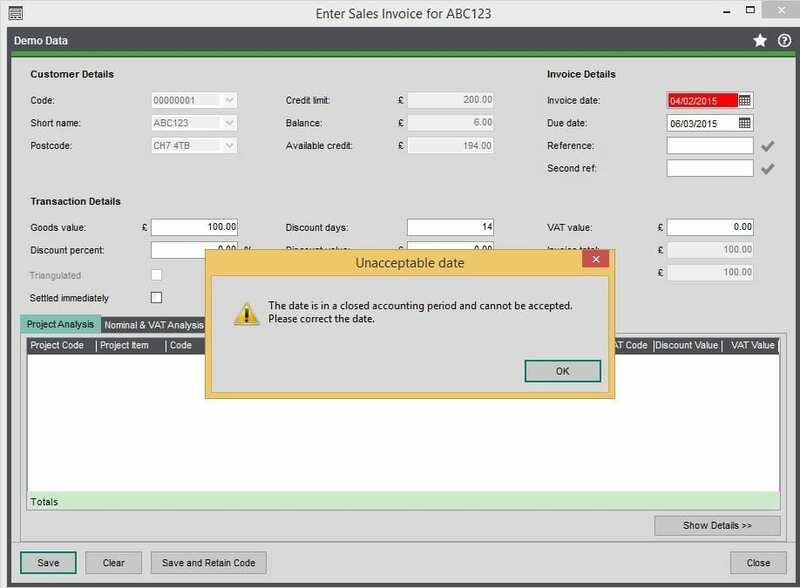 Within Sage 200, there is the option to delete when amending a transaction, however. this only deletes the post of the transaction. It will not remove the effect of the transaction, meaning the balances will not be deleted. …the best thing to do if you want to remove a transaction, is to reverse it. Reversing a transaction basically means posting the exact opposite of the original transaction. You could do this manually, e.g. 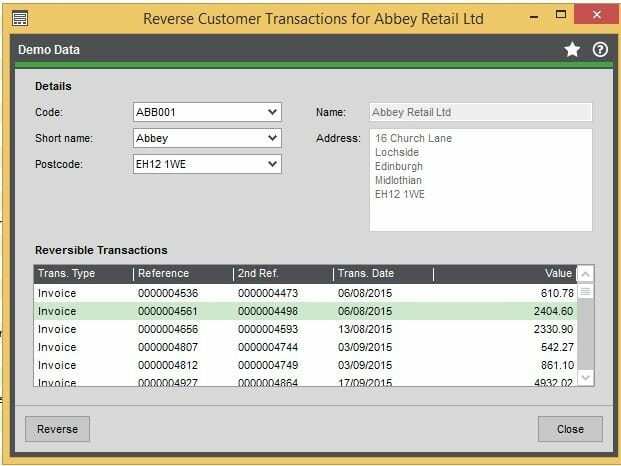 enter a credit note in the system to reverse an invoice. However, there is a reverse function within Sage that does exactly that (highlighted above). When you click this function, you will need to select the transaction you want and then click ‘Reverse‘. If you just need to change the Due Date or Reference of a transaction, you can use the ‘Amend Details‘ function. Otherwise, it will need to be reversed. 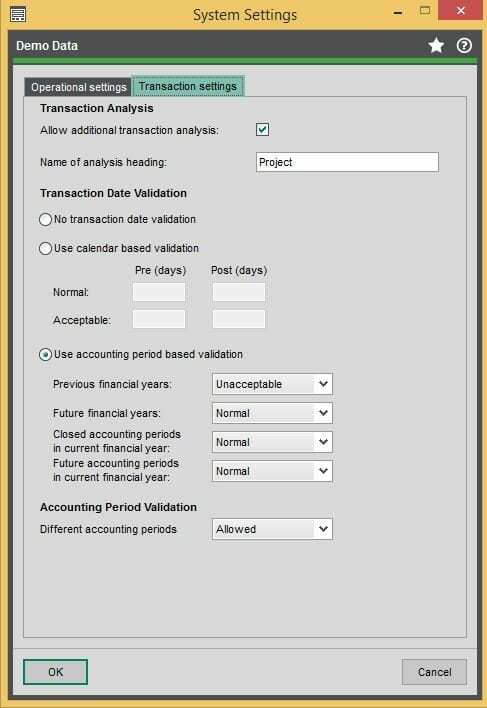 Answer: The most likely reason you cannot post a transaction for the dates you have selected, will be due to the ‘Transaction Validation Settings‘ you are using. Depending on these settings, there will be different errors/warning you will receive. If what you see is an error message, the Validation Settings will be set to ‘Unacceptable‘ for what you are trying to do. Therefore, double check that you are posting the correct date! There will also be a field highlighted in red (as below), to warn you that this is an ‘Unacceptable date‘. If it is highlighted yellow, this is a warning that what you are doing is ‘Acceptable but not Normal‘. Answer: Transactions cannot be posted to closed periods. So, if you do post to a closed period, the transaction will instead post to the next open period. If the period shouldn’t be closed, you can reverse the transaction (as described above) which will also post to the next open period. You can then go back and reopen the period by going to Accounting System Manager > Accounting Periods > Manage Accounting Periods. Answer: You cannot amend a transaction while it is allocated, so the first thing you need to do is unallocate it. To do this, you need to go to Sales/Purchase Ledger > Adjust Transactions > Amend Allocations. 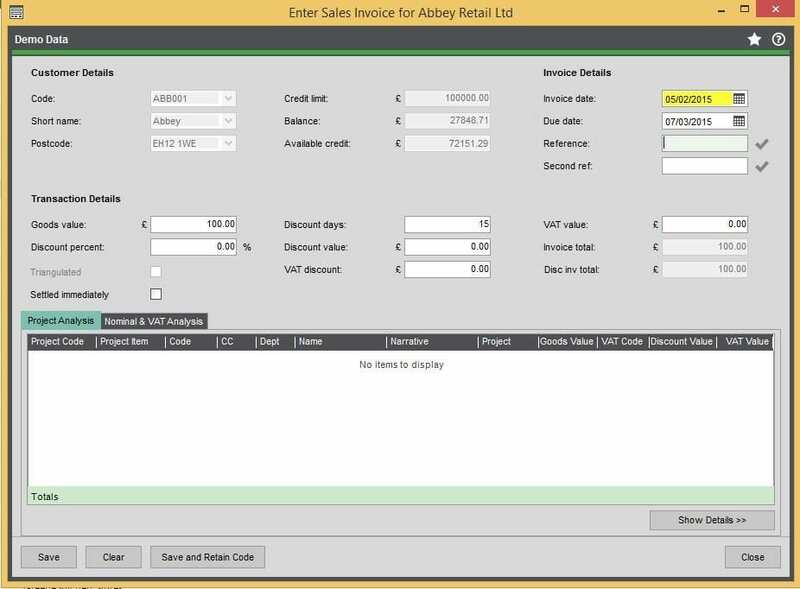 You can then select the Customer/Supplier and the relevant transaction. Select ‘Edit‘ and set ‘Allocation‘ to ‘0’. Then, choose the corresponding Credit/Debit and set the ‘Allocation‘ to ‘0‘ again > click ‘Save‘. You will now be able to amend the details of the unallocated transaction or reverse it as above. We have an extensive library of free Sage 200 User Guides and Sage 200 Blogs for you to take advantage of, so… why not begin learning today!